Gov. Jay Inslee joins Oregon Gov. Kitzhaber in imposing a moratorium on executions. Dinners featuring religious leaders scheduled this month in Salem and Bend. Exonerations are accelerating nationally; Barry Scheck and Richard Stack to speak; OADP will table at this national conference April 11-12. New Ohio protocol results in slow, painful death; controversy causes states to delay executions. Six scheduled in April, early May. Portland event to mark second anniversary of execution of likely innocent man. Causa Oregon and Nancy Hill join OADP. British MP visited in February. Board member and former OSP Superintendent continues to speak nationally. Poll shows continuing decline in support for death penalty; NH legislature moves toward repeal. A Path to Repeal in Oregon: OADP targets the Nov 2016 general election for a ballot measure to repeal Oregon's death penalty. Lots of work ahead of us! Another Oregon Chief Justice Speaks Up: Last issue we brought you retired Chief Justice Paul DeMuniz. In this issue, we reprint the op-ed of retired Chief Justice Edwin Peterson from OregonLive, October 23. From the Board Chair, Ron Steiner: Our year-end fundraising request--this year Ron asks that you consider a three-year pledge to help carry us through to our goal in 2016. Events: A dozen in October and November, led by the Ecumenical Banquet in Portland, with links to the powerful moral statements of 15 religious leaders from our state. Mark Baker, CPA, Joins OADP Board of Directors: Welcome Mark. Another Death Row Exoneration: The nation's 143rd, Reginald Griffin of Missouri. The Conservative Viewpoint: Kansan Chase Blasi advocates for repeal. Retired President Speaks Up: Jimmy Carter once again urges the U.S. Supreme Court to hold the death penalty unconstitutional. OADP Annual Meeting a Huge Success! Two Major OADP Events this Fall: Please save the dates! New Death Penalty Book: Grave Injustice, by Richard Stack. States Move in Opposite Directions on the Death Penalty - from Pew Charitable Trusts' publication Statelines. Recent News from the Death Penalty Information Center. Repeal Bill Submitted to Legislature. First hearing is this Tuesday, Feb 26, 1 p.m., Room 343 of the Capitol. Please attend and contact your senator and representative. What Do Murder Victim Family Members Really Need? Aba Gayle, mother of a homicide victim, explained in our last newsletter why the notion of "closure" is a fallacy. In this article, she discusses the needs of murder victim family members. Death Row Exonerees to Visit Campuses. Juan Melendez and Greg Wilhoit will discuss their stories of wrongful sentencing to death row on college campuses March 6-7. All events are free and open to the public. Documentary West of Memphis, opening in March in Oregon, also tells the story of wrongful convictions for murder. Discounted tickets are available on our website, and OADP will sponsor discussions after the film on its opening showing in five Oregon cities. Two new Advisory Council members, Valerie Keever and Dave Cook. Frank Thompson of OADP Board urges legislators in Maryland to repeal that state's death penalty. Plethora of Eugene events. Eugene will be a hotbed of anti-death-penalty events in March. If you live or work in the South Willamette Valley, please check out these opportunities! "Oregon Should Abolish the Death Penalty." Before his recent passing, Hon. Timothy P. Alexander, Senior Judge, expressed his opposition to the death penalty to the Oregon Bar Bulletin. The Closure Myth. Aba Gayle, mother of a homicide victim, explains why the notion of "closure" is a fallacy. California Vote Shows Shift. The narrow defeat of California's Proposition 34 demonstrates how substantially public opinion has changed in the Golden State and across America. Dead Man Walking, the opera, comes to Eugene. The widely acclaimed operatic version of Sr. Helen Prejean's now classic account comes to Eugene in March, 2013. Mark your calendars. Death penalty news from Around the Country, Around the World. 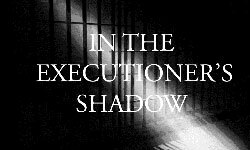 Stories courtesy of our friends at Death Penalty Information Center. Your Financial Support. Our year-end request for the contributions that enable our work. Call California! Pass Proposition 34! On November 6th, Californians will vote on a measure to repeal the death penalty. The implications for Oregon are huge. Here's what you can do. Sister Helen Prejean returns to Oregon October 21-25. Here's a schedule of her public events. Hope to see you there! Rotary Clubs in northern Oregon commit to pursue peace, and they're open to hearing how death penalty repeal furthers their goal. Help us schedule talks to the 76 clubs of District 5100. OADP's strategic planning process needs your help. Please give generously. Innocence and Waste: News about these issues from around the nation, including two new death row exonerations. Texas Democrats Call for Repeal of Death Penalty. ...And New Hampshire Democrats as well. LA Times Issues Rare Endorsement to SAFE-California initiative. Gallup Poll Finds Death Penalty Less Morally Acceptable. Your Financial Support: Our opportunities and our needs have multiplied - how can you advance the cause of repeal? OADP Spawns Larger Coalition: Our new coalition partners, and how you can help propel us toward repeal. What About Victims? The important role that meeting the needs of survivors of homicide plays in our campaign for repeal. Death Penalty News from around the Nation... **Breaking news from Connecticut**, developments in Kansas, plus federal court rulings in the areas of mental competence, withholding of evidence, and lethal injection. ...And Around the World: A summary of Amnesty International's annual report on the death penalty around the globe. Upcoming Events in Oregon: Later this month, in Albany, Salem, Corvallis and Portland. Sr. Helen Prejean - the face of the death penalty abolition movement in America--returns to Oregon October 17-21. If you've never heard her speak, or even if you have, you won't want to miss this opportunity. OADP's Advisory Council, which provides advice to the Board on a range of topics, has three new members. Gary Haugen, the Oregon death row inmate who has asked to waive his appeals and be executed, was found competent to do so recently by the Marion County Circuit Court. An execution date of December 6 was discussed, but no execution warrant has been issued by the court at this point. Read about OADP's response to this ruling and about our plans if an execution takes place. This article includes an important Action Request. This past month, OADP joined with Amnesty International, the NAACP and other groups to protest the execution of Troy Anthony Davis, a Georgia death row inmate who had a compelling claim that he was innocent of the murder for which he was convicted. This article reprints the remarks of Ben Jealous, President of the NAACP, following the execution. Other articles about Troy Davis execution are available here and here on OADP's website. Conservatives are an important part of the movement to repeal the death penalty, according to Washington Post writer E.J. Dionne, Jr.
OADP now has it's ownFacebook page! Learn how you can help us use this powerful tool to engage thousands of new supporters of repeal.